Now that the warm weather is finally here, I start to fret about my feet and toes. Spring and summer weather means shedding your boots and baring your feet in flip flops and sandals. Are your feet ready for that? If not, I have some great ideas for a little DIY Pedicure you can do right from home, with salon-quality results! I love a great spa pedicure, and the place near me uses hot stones to massage your feet and calves and it's just heavenly. But heavenly doesn't always mean practical, and sometimes you need spa-like results from home. With a few simple materials, you can give yourself a great DIY pedicure while you catch up on your latest binge on NetFlix or your favorite book. Fill your bowl or basin with warm water. Soak your feet for 10 minutes. 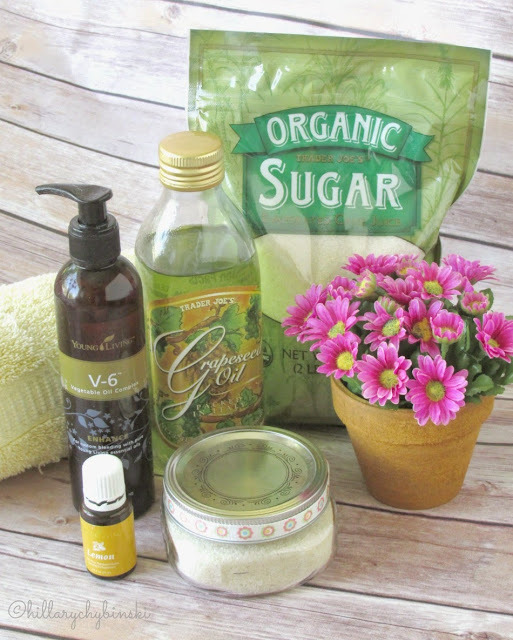 Scrub all the rough skin from your feet with a fragrant sugar scrub. Rinse your feet and dry them with a towel. Apply a cuticle lotion to the cuticles on your toes. Apply your favorite polish and enjoy! If you really want to do your DIY pedicure up right, why not make your own sugar scrub and cuticle lotion. It's pretty easy, and uses just a few ingredients you probably have at home right now. It's easy to make your own sugar scrub at home. All you need is a cup of granulated sugar, a quarter cup of oil (such as grapeseed) and 10-15 drops of your favorite essential oil. Mix all the ingredients together in a glass jar, and you have a wonderful sugar scrub. You can also make a great cuticle lotion at home. 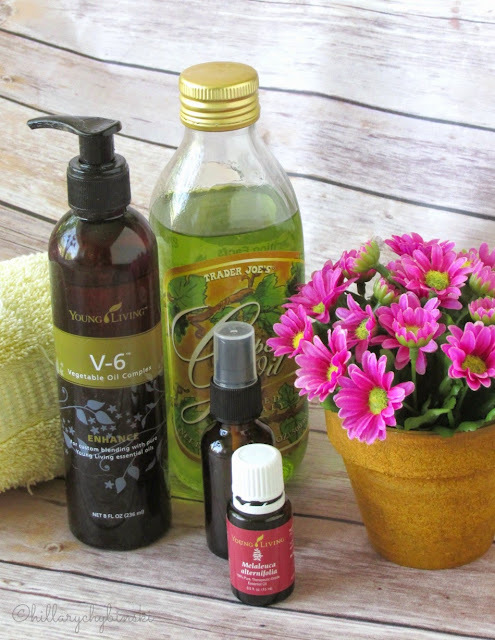 Use about half a cup of carrier oil (such as grapeseed or Young Living's V-6 oil complex) and 10 drops of Melaleuca Essential Oil (Tee Tree Oil). Mix them together in a glass bowl or small jar. Putting your DIY Sugar Scrub and Cuticle Lotion together with a nail file and pretty polish, makes a great gift too! 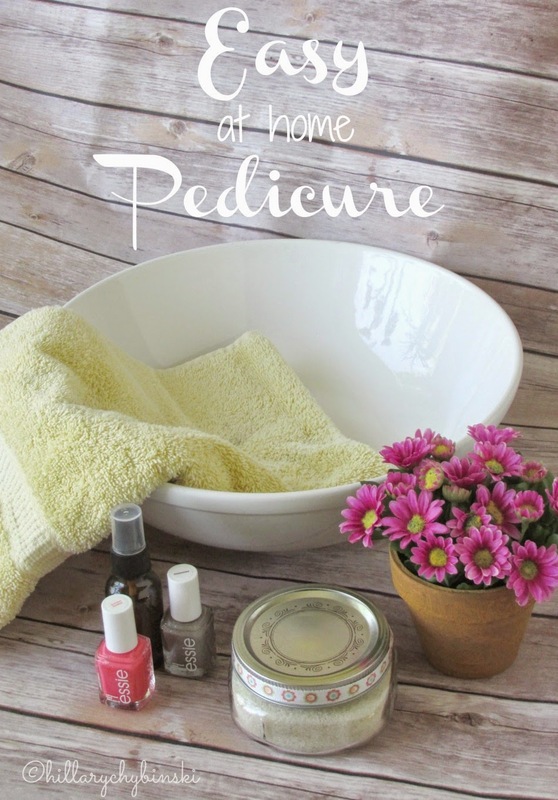 Are you a fan of the DIY pedicure at-home? 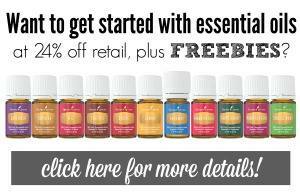 If you aren't sure where to get your own essential oils or are curious about which essential oils to use (lemon, peppermint, Joy, oh my!) 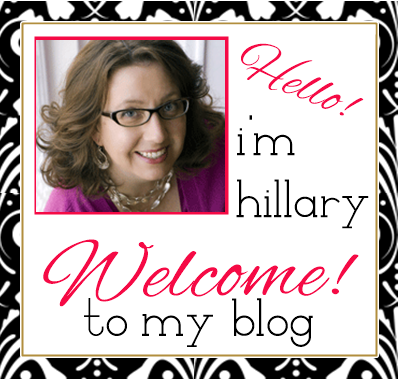 drop me a note, and I can help. Confession: I hate getting pedicures. Because I don't like anyone touching my feet! haha! I always do them myself, but to be honest, I never actually pamper myself like this. I just paint my toes and go. I think I'll give it a try! Thanks for all the tips! I DOES seem like a lot of work sometimes - but some days it can be just what you need!! Love this idea. Maybe my home pedicures will come out a little better now! LOL - for me the reaching my feet is hard - clearly I need more yoga!! Oh my gosh, THIS is what I need! Thanks for sharing some great tips, I need to do this soon! Awesome Beth Ann! Let me know how you make out! This would make a fun spa day for me and the girls! Gosh, I need to try and make that scrub. What a terrific idea.